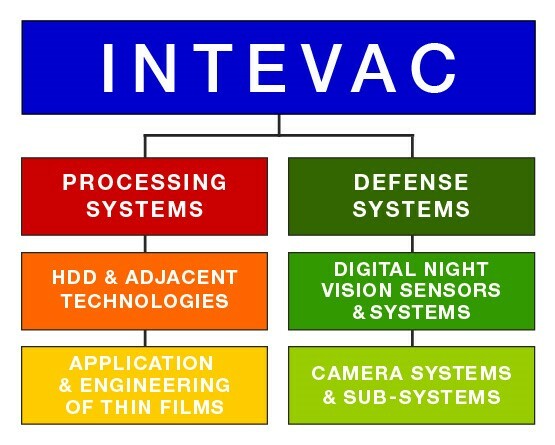 For more than 20 years, Intevac Corporation has continuously built on our extensive knowledge of thin film, vacuum processing technologies and sensor design to develop products that align with our customers’ needs. Our advanced applications and engineering solutions meet the ever-evolving performance and cost requirements for customers in the technology and vacuum coating industries, and we continue to deliver the increasingly sophisticated sensors and systems that our defense industry customers demand. Our expertise in thin film deposition and sensor technologies makes Intevac uniquely positioned to serve the needs of these diverse industries.